The American Tinnitus Association and U.S. Centers for Disease Control estimate that nearly 50 million Americans experience tinnitus to some degree, with roughly 20 million struggling with chronic, burdensome tinnitus. Tinnitus is the perception of sound in your ears or head when no external noise is actually present. At some point in your life you may have experienced a sound in your ears, for example, after a concert. Whether your symptoms fade away or linger for months, you are experiencing tinnitus. The specific sound each person hears varies from person to person, including pitch and loudness. This sound is often described as ringing, hissing, humming, buzzing, static, whooshing, roaring, pulsing, or ocean waves, among a variety of other sounds. While tinnitus may be mild or a non-issue for some, it can be a severe, disabling condition for others. Tinnitus can significantly impact the life of the person living with it. Tinnitus can cause depression, anxiety, mood swings, irritability, and pain. 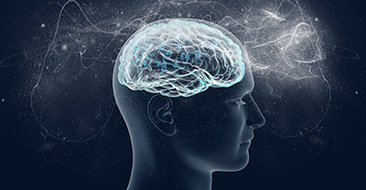 Many people with tinnitus find it hard to sleep or concentrate, and some report that the condition disrupts their ability to work and socialize. Most of the time, tinnitus is subjective, which means other people cannot hear the sound experienced by the person with tinnitus. Subjective tinnitus often results from hearing loss or noise exposure, which damages the hair cells of the inner ear. Incredibly rare is objective tinnitus, which means other people can also perceive the sound heard by the person suffering from tinnitus. Objective tinnitus results from noise generated by structures near the ear. Although anyone can experience tinnitus, several factors can increase your risk for developing the condition. These include age, smoking, cardiovascular problems, and gender (with men more likely to experience tinnitus). People frequently exposed to loud noise, including factory workers, construction workers, soldiers, and musicians, have a particularly high risk of developing tinnitus. Some people never determine the cause of their tinnitus. Nevertheless, audiologists can often help provide patients relief (decrease the severity of tinnitus) by exploring different treatment options. Although there is no “cure” for tinnitus, treatment can provide relief and greatly enhance quality of life. In order to alleviate your tinnitus, you will need to work with an audiologist that specializes in tinnitus to determine the cause of your condition. Then, your audiologist can create a personalized treatment program to accommodate your needs and preferences. 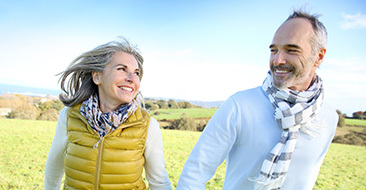 To learn more about how we can help provide tinnitus relief, call Heartland Hearing Center and schedule a consultation with one of our Doctors of Audiology.